In the Sitemap module, you’ll find a list of the screens in your prototype. The module gives you a birds-eye view of the prototype’s hierarchy. The map is created automatically as you build your prototype. To view the sitemap, simply select the Sitemap module in the top right-hand corner of Justinmind’s editor. 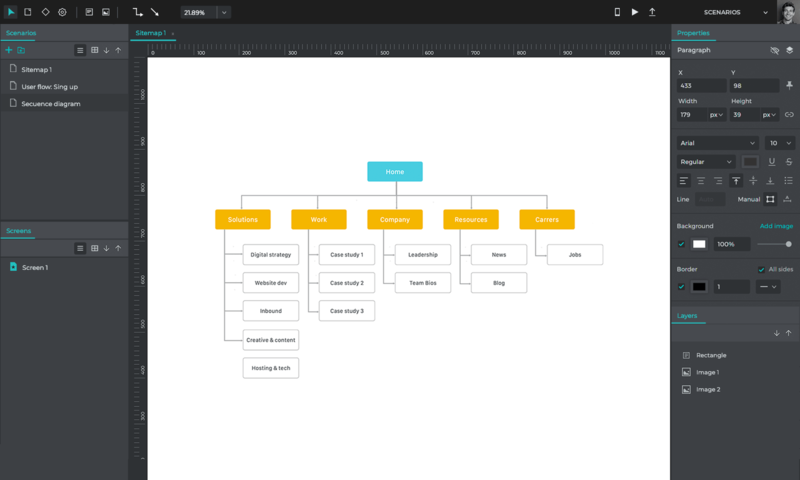 Navigation Map – the Navigation Map displays the sitemap of your prototype’s screens. The Home screen is the root of the Navigation Map and there is a node for every other screen that can be accessed from this screen. 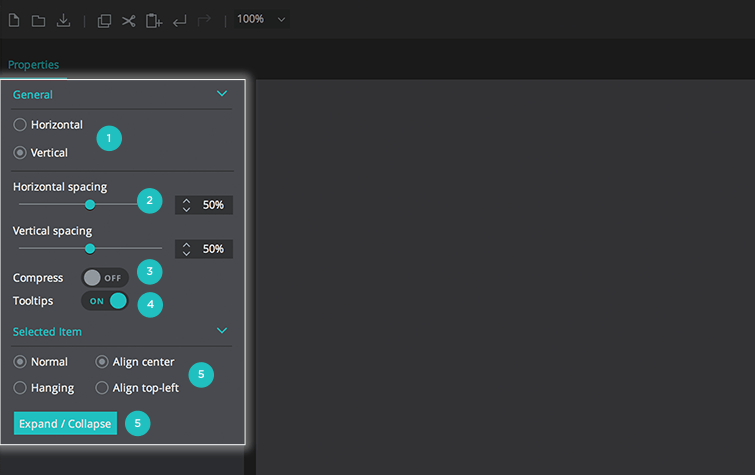 Select a node to be taken to the corresponding screen and double click on the node to edit the screen in the User Interface module. Save as image – generates an image of the Navigation Map and enables you to save it as an image file. Choose a location from your folders.